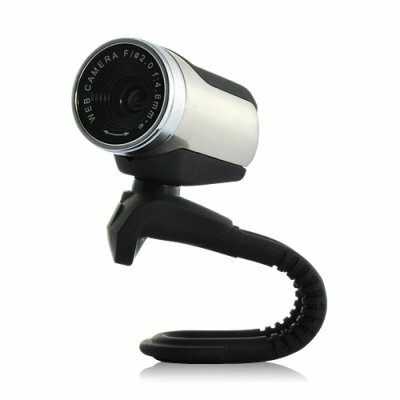 Successfully Added 2.0MP Web Camera with Mic (Easy Mount) to your Shopping Cart. Great image quality, compact design and low price tag make the DC40 webcam with mic an excellent choice for both travel and at-home use. This compact plug-and-play USB webcam offers desktop and laptop users a quick and easy way to get high resolution video and voice communication on their PC. That’s because this webcam features a new easy-mount design that lets you place it at the top of any monitor and rotate the camera to the perfect viewing angle with ease. The DC40 web camera delivers clear and colorful images and even has a rotating manual focus lens so you can focus on objects from up close or far away. This web cam works with most messaging programs such as Skype, MSN and AOL Instant Messenger- allowing you to enjoy high quality audio/video communication for free. This easy mount web camera with mic is available right now at an amazing factory direct price. Order now while supplies last and we will ship your order out within 24 hours and include our full one year warranty. Will this work with Linux/Mac machines? The included CD only includes software drivers for Windows machines. However, if you can find the correct drivers for Linux and Mac, then it will work.